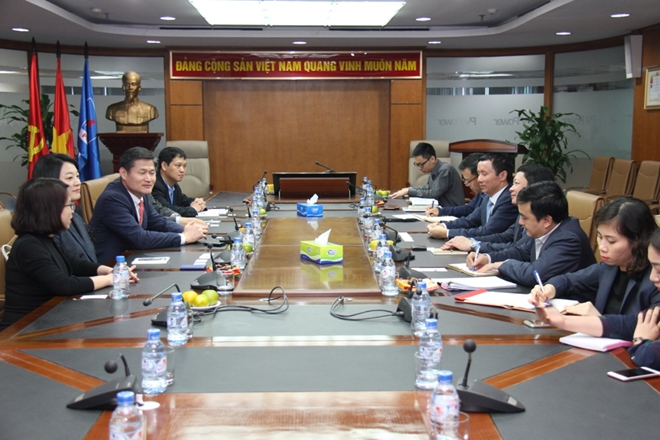 Ensuring stable supply of electricity for businesses in major industrial parks is an important task for the power sector and particularly the National Power Transmission Corporation of the Electricity of Vietnam (EVNNPT) to attract more foreign investors in Vietnam. 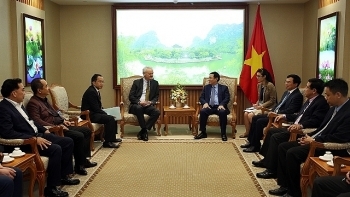 Deputy Prime Minister Vuong Dinh Hue received Deputy Chairman of the management board of Germany’s Talanx AG Group Christian Hinsch in Hanoi on April 19. 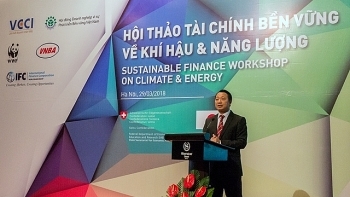 Vietnam’s financial sector needs to play a key role in the transitional efforts to develop a low-carbon, climate-resilient, economy through re-orienting investment to more sustainable projects, while accounting for environmental and social risks, experts have suggested. 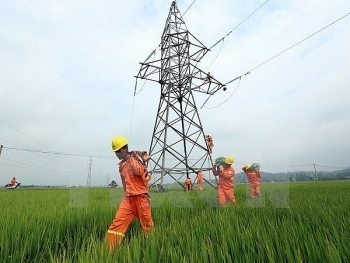 While the backbone of Vietnam’s electricity remains hydropower, the State-owned Electricity of Vietnam Group (EVN) said power supply will be ensured for the coming dry season. 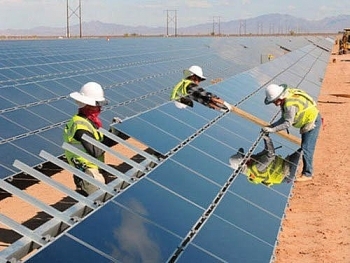 The Central Highlands province of Dak Nong has approved in principle a solar power project, worth 1.1 trillion VND (US$48.4 million), in Truc Son commune, Cu Jut district, the provincial People’s Committee announced on April 4. 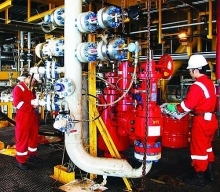 The Binh Son Refining and Petrochemical Company (BSR) reported pre-tax profits of 1.3 trillion VND (US$57.1 million) in the first quarter of 2018, up 46 percent compared to the quarterly target. 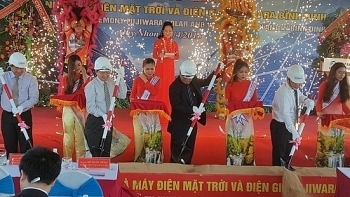 The 100MW project is invested by the Fujiwara Binh Dinh Co. Ltd., which said it is committed to being on schedule and making contributions to the local economy. 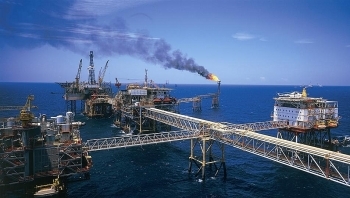 A strong recovery in the price of crude oil on the global market is expected to serve as a driver for Vietnam’s high economic growth this year. 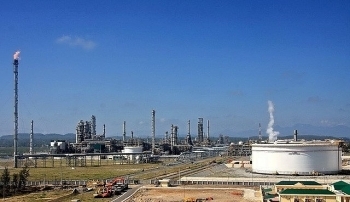 Teakwang Industrial Co (Taekwang Ind) of the Republic of Korea (RoK) said it wants to become a strategic investor of PetroVietnam Power Corporation (PV Power). 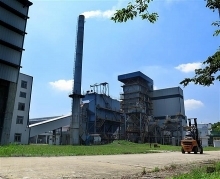 (VEN) - The Southern Power Corporation (EVN SPC) has invested several trillions of Vietnamese dong in rural power systems in 21 provinces and cities in the south. As a result, people’s living conditions have improved. 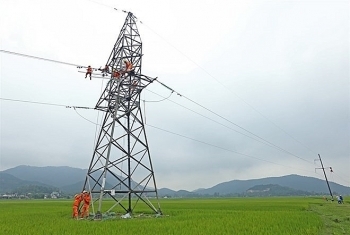 In 2018, the power sector will continue to expand power grids, especially in remote areas.